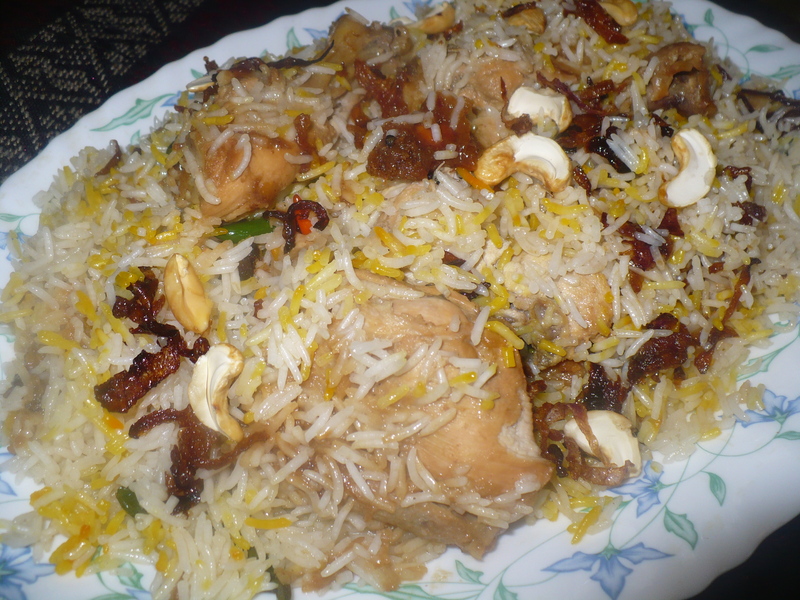 Shahjahani Biriyani is one of the precious gems of the Mughal kitchen . Shahi indeed , no doubt !! Traditionally it is cooked with mutton / lamb or bone less chicken , but if you want you can definitely use beef or chicken with bones . If you don’t have the stock , don’t bother , just add regular water with 2 black cardamoms , 1 star anise ,4 green cardamoms , 1 bay leaf , 1 cinnamon stick . 1. 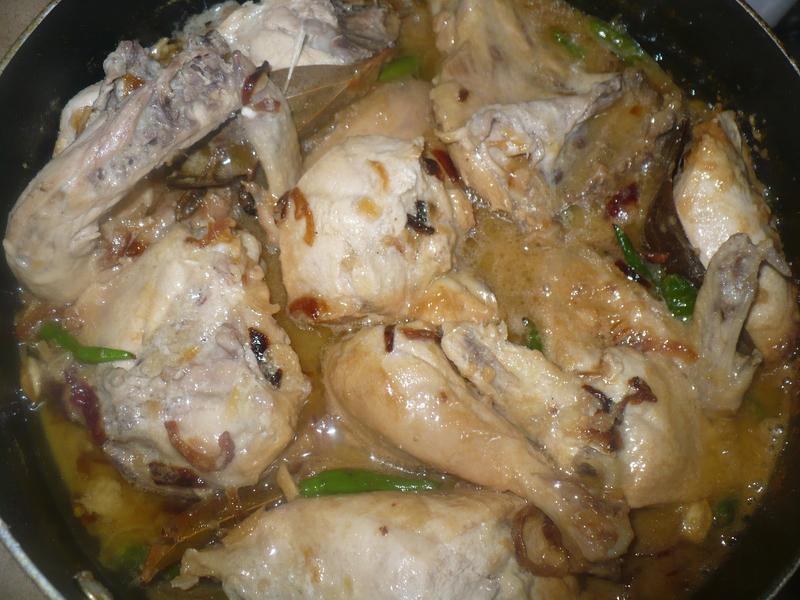 Boil the bones of the chicken with 9 cups of water and 2 black cardamoms , 4/5 green cardamoms , 1 stick of cinnamon , 1 tea spoon of fennel , 1 tea spoon of shajeera , 1 tea spoon of black pepper , 6 / 7 cloves , 2 star anise , 1 tbl spoon of julian cut ginger and salt . Reduce the water to 6 cups . 2. Marinate the Chicken with all the ingredients mentioned above , except onion , ghee , green chilies , sugar, maowa and shahi masala paste . 3. Rub little food color over potatoes and eggs . 4. Heat oil + ghee and add the potatoes . Fry them for a while . Keep them aside . Fry the eggs for a while . Keep them aside too . 5. Now in the same pan add the onion , fry them until golden brown or looks like bereshta . Now add the chicken with the marinade . You can add little zafrani food color in it now . Cook for a while in low flame with lids on . After 15 minutes add the potatoes and 1 cup of water . Cook on medium low flame for about 30 minutes. Since the chicken is boneless it won’t take much time . Don’t reduce the the gravy too much . There should be at least little more than 1 cup of gravy . If you want you may add little water and add the Shahi masala paste , just before you turn off the stove , add the whole green chilies , sugar and maowa . take out the whole masalas from the gravy . 6. In the mean time , prepare the rice . Boil 4 cups of rice with 6 cups of chicken stock or water and 1/3 rd cup of ghee . Chicken stock has salt in it , so you may add salt if needed . If you are not using chicken stock , as I said earlier just add 2 black cardamoms , 4/5 green cardamoms , 1 star anise , 1 cinnamon stick, 1 bay leaf and salt to taste . Try not to put too much salt , as the chicken will have salt in it too . 7. The rice will not be fully done . It would look like 90% done . But the water will be dried out . Don’t stir the rice while boiling . just when the water is dried out , with a gentle hand stir once around the pot . 8. Now most important layering part . Take a wide , deep bottomed utensil . Layer with half of the rice . Then add the chicken with all the gravy, potatoes and green chilies . Add some alubokhara too .Sprinkle some keora water .Cover with remaining rice . Pour some ghee, around 4 tbl spoon over the rice in circular motion . Pour zafran/ saffron , soaked in milk , in circular motion too . Add generous amount of keora water . Now Cover the lid tightly and keep it on “Dam” for another 30 minutes. For “dam”, I always steam using double boiler method . For that take a same sized utensil or any utensil , on which you can put the biriyani pot . Now fill that utensil with water and place the biriyani pot over it . Turn on the stove on medium heat . The water will create steam and will evenly distribute the steam to the biriyani pot . 1. If you are using mutton and lamb , while boiling the meat and preparing the stock ,add enough water , so that the meat is 70% done . Reduce the stock to 6 cups . Memoni Akhni … I believe this is the only biriyani , where we can see the use of turmeric in generous amount .Very spicy and the Memons can’t think of their biriyani without lots of potatoes of course . It is called “akhni” or “yakhni” , because the biriyani is cooked in stock . 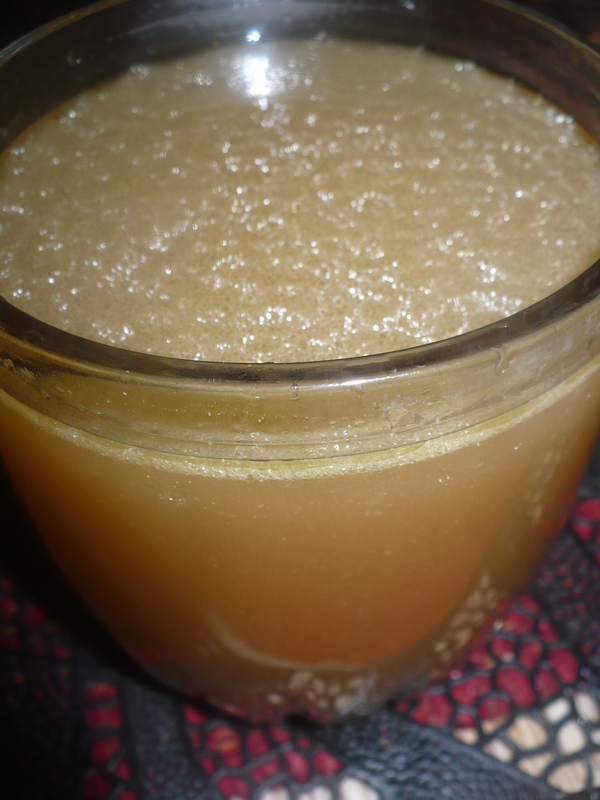 “Yakhni” means stock or broth . This special type of biriyani is very simple to make , where you put the meat and rice at the same time , in the same pot and cook in the broth or stock . 1. Make a bundle with 1 bayleaf, 1 stick of cinnamon , 7-8 green cardamoms , 2 small black cardamom , 7/ 8 cloves , 1 tea spoon cumin , 1 tea spoon black cumin , 1 tbl spoon of whole coriander , 1 tea spoon fennel , 1 star anise , 1 tea spoon of black pepper . Now Boil the beef in a large pot with this bundle in with enough water and 1 tbl spoon of Julian cut ginger , 2 small pounded onions and 3/4 pounded cloves and salt. We are making the stock . Don’t boil the beef fully . It should be just 70 % done . 2. Now Strain the stock from the beef and save for the latter part of cooking . 3. Heat oil and ghee in a pot , add 1 bay leaf , 4/5 green cardamoms , 1 small stick of cinnamon , 1 small black cardamom , 1 small star anise . Now add the ginger-garlic paste and the fried onion or bereshta . Add little water or you can use the stock you made and fry well , what we call in Bangla “koshano”. Add the chili, turmeric and coriander powder . Fry well adding water little by little . Add the 70% done meat and potatoes . Cook the meat adding water little by little , i.e keep doing ” koshano” . Add the curry patta ( if you like the flavor) . Now add 1 and half cup of stock and cover the pot with lid until the potatoes are almost done .The potatoes should not be fully done , or else they will break apart after the biriyani is completely done . 4. When the water dried out , add nutmeg-mace powder. Add the rice and mix well , add the stock and salt ( careful, the stock has salt too) . Cover the lid . For every cup of rice, you should take 1 and 1/2 ( half) cup of stock . 5. When the water dried out add the green chilies and jalapenos , stir for once without breaking the rice . 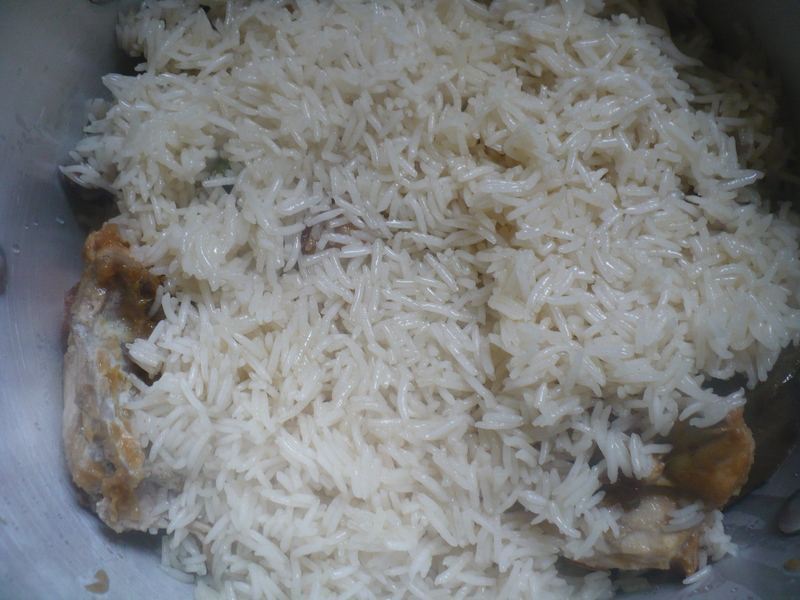 The more you stir , the more gooey it will be , so don’t stir too much .Keep the biriyani on “Dom” . I use the double boiler technique , where you take a same sized pot like the biriyani pot . Fill the other pot with water and place your biriyani pot over it with lid on . The steam will do the work . The flame should be medium . 1. Try to make the bereshta at home . It definitely makes the difference in taste. 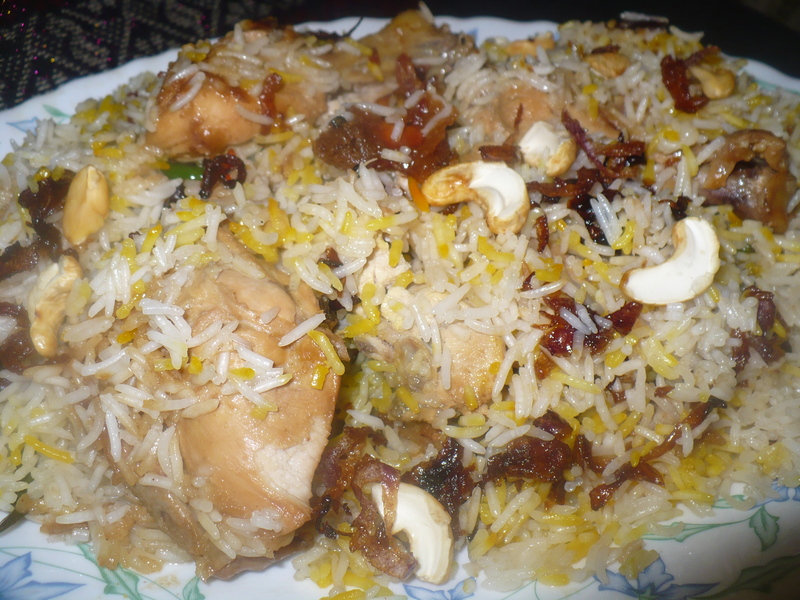 Sindhi biriyani is truly that one of a kind biriyani, so unique for it’s hot, spicy and heartwarming flavor . 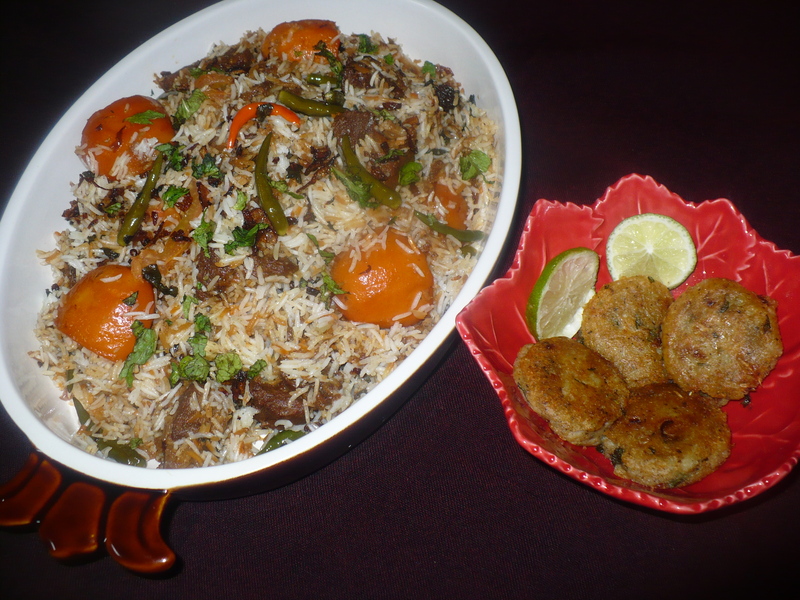 One whose taste bud really longs for hot, spicy flavors , this is the perfect biriyani !!!!!! Grind them together into a fine powder. Don’t dry roast them. 1. Soak the rice for at least half and hour . 2. Marinate the meat with the ingredients mentioned for meat , except oil. 3.Cut the potatoes and rub some food color on them . Deep fry them for a while . 4.. Heat oil and add the meat . Cook on medium low flame until tender and there are little gravy, around 1 cup remaining, . You may add little water , little by little , if needed. You have to add the potatoes in a way that when the gravy comes into desired consistency, the potatoes are 80% done . It must be firm . 5. In another pot , heat ghee and add the rice . Don’t fry the rice.Add 4 and half cup of Warm water. Add the ginger ,black cardamom, green cardamom, star anise, cinnamon stick and salt . Cover the lid and cook on medium low flame . Don’t stir.When the water dries out , turn off the heat. The rice must not be fully cooked . It should be 80% done too. 6. Now the layering part . Take another pot and add the meat. Layer with half of the rice . Add sliced tomatoes, green chilies ,potatoes, half of the mint over it .Now cover them with the remaining rice . And on top of it put frid onion , remaining mint and some green chilies. Cover the lid tightly and put it on “dom”. For “Dom” , I always follow double boiler method . Put you biriyani pot over another same sized pot filled with water . Turn on the stove on medium flame. The steam will do the wonder . Those who will put it in the oven , cover the lid tightly or wrap with double layer of aluminium foil .In a bake mode , keep it in the preheated oven for 20/ 25 minutes at 350 FH. Serve with raita , tikki or salad !!! 1. 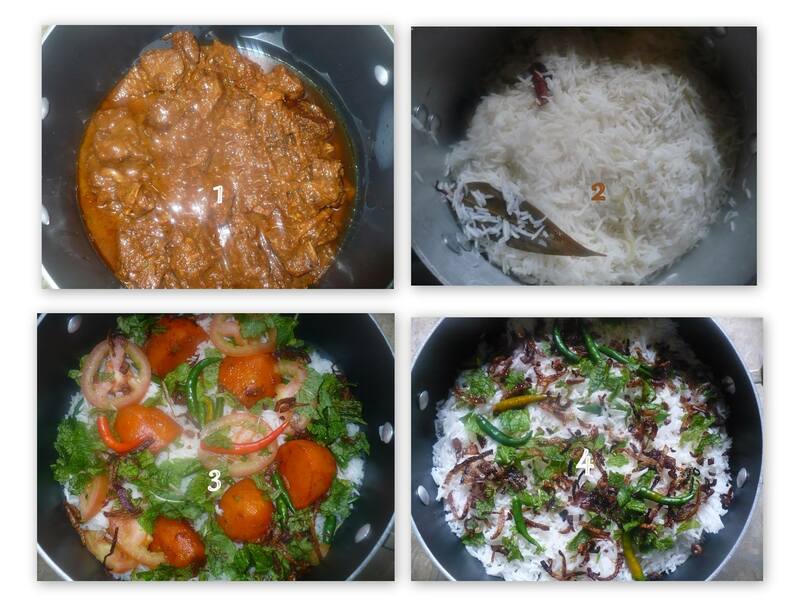 In cooking biriyani , normally the rice is boiled in water with few whole spice and then drained out . But I’ve noticed that if you do so ,the aroma, flavor and nutritional value ,everything gets drained out too . When the rice is cooked like Pulao or pilaf , it becomes more flavorful, aromatic , the ghee is coated evenly and the rice doesn’t stick together.sometimes , while mixing the biriyani , if you use boiled, drained out rice ,it may happen ( if you are not that expert in mixing) that some of the rice remain dry , without masala and ghee . But if you use my method , you will see the difference. More flavorful and aromatic version of course. 2. While making the rice , don’t ever fry them on oil . Just put them on heated oil and add water and the whole spices immediately. 3. Try to take out the whole masala from the rice and from the meat before layering out . In the subcontinent we have so many different recipes of biriyanies ; taste, flavor , aroma , process of making varying from region to region . Some of them are ravishingly spicy , whereas some are enchantingly aromatic. All the biriyanies , depending on the method of cooking, can be classified into two major groups; “Kachchi” and “Pakki” . Kachchis are those , where raw marinated meat is used with partially cooked rice . 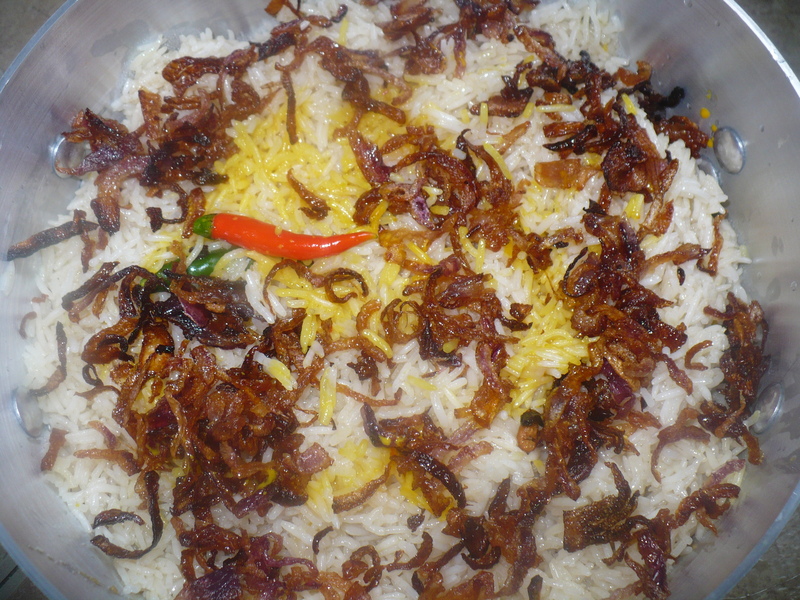 Our very own, world famous Bangladeshi version of Kachchi biriyani , Hyderabadi biriyani belong to that group . And Pakkis are those , where meat and rice both are pre cooked and then layered . “Sindhi”, “Luknowi” are of this kind . 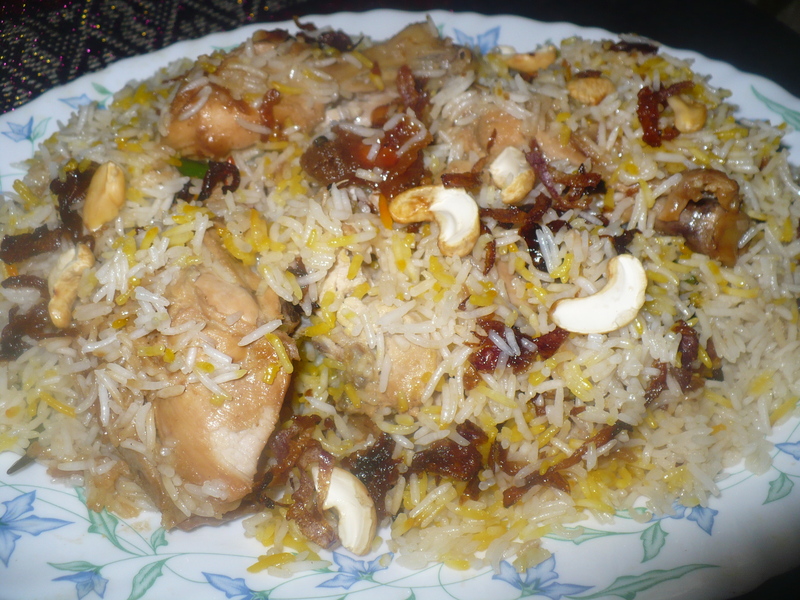 Today’s post is “Lucknowi Biriyani”, delightfully aromatic and mild in flavor, rather than spicy . and it is prepared following the original, authentic method. There are so many recipes on internet as to Lucknowi Biriyani , but sorry to say , neither of them come close to the original version . The basic principle of preparing this recipe is , no powdered masala , only whole masala is used and the rice is flavored with the aromatic stock of the meat used in the recipe . 1. 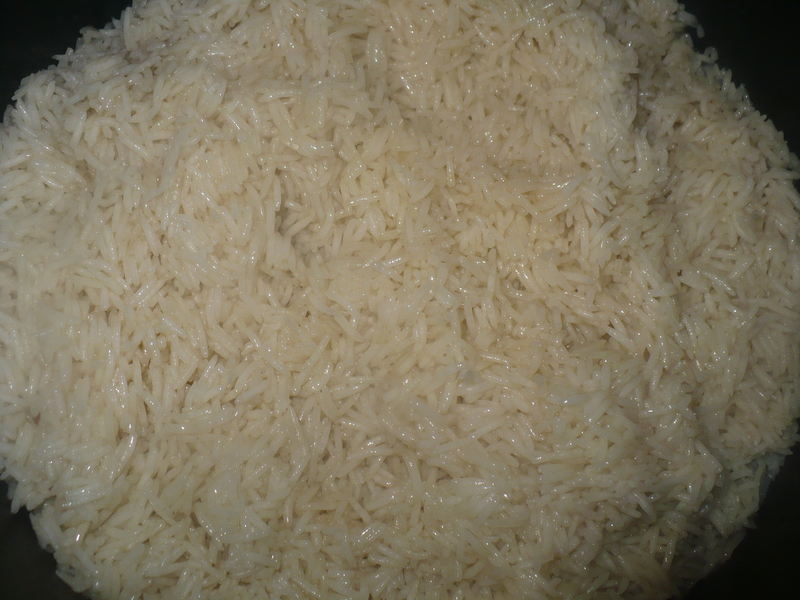 Soak the rice in water for at least 1 hour. In a cheese cloth put everything mentioned for stock, except salt. Now tie up the cloth and put it in a pot filled with 12 cups of Warm water. Put the chicken pieces and add salt . Let it boil till the chicken are three-fourths done. Take out the chicken pieces and reduce the stock to 6/7 cups. Don’t take out the masala bundle while doing so. 2. In a pot marinate the three-fourths done chicken with yogurt , whole garam masalas , ginger, garlic paste, Fried onion ,sugar and salt. Heat ghee and add the chicken with marinade . Cook on medium flame for few minutes and then add the milk . Cook on medium low flame .The gravy should not be too much or too dry .Add the green chilies and keep it on dom for 5 minutes more. Take out the whole garam masalas from the gravy. 3. Put ghee in a pot . Drain out the water from the rice and add into the ghee . Add 6 cups of stock . Add the cinnamon stick. Add salt, but careful , the stock has salt too . So Adjust the salt . Cover the lid and cook on medium flame . Don’t stir. When the water is completely dried out , turn off the stove . The rice would look like 80% done. 4. Now the layering part . Take a pot , first layer with the chicken with gravy . Don’t take any extra oil from the gravy. Now layer with the rice . Put some whole green chilies , alubokhara , raisins over the rice . Layer now with the remaining rice . Cover it with fried onion , bereshta . Add saffron and sprinke some keora and biriyani scent . Cover the lid tightly and keep it on “dom” for another 30 minutes. Serve hot with kabab and salad. 1. 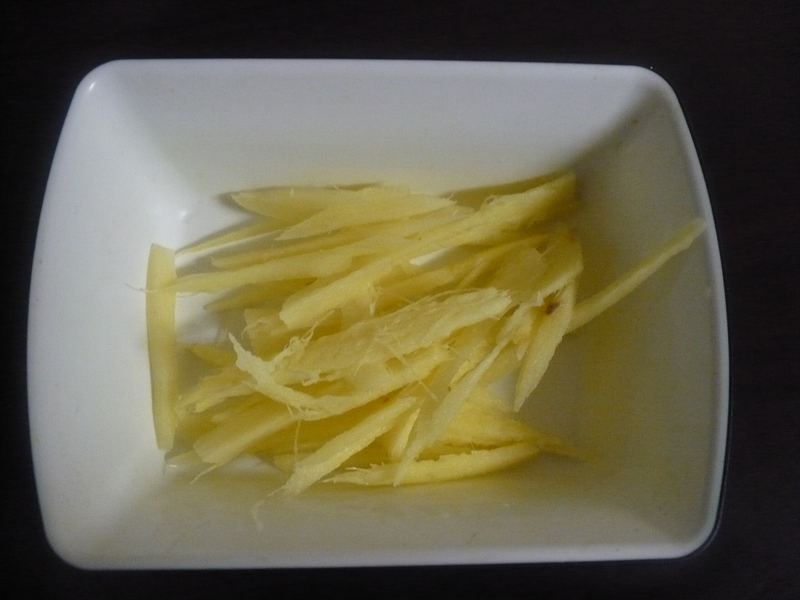 Unlike other pakki biriyanis , the rice is not cooked in water and the nutrition and flavor of rice is intact for not throwing away the water . It makes the biriyani more flavorful . 2. 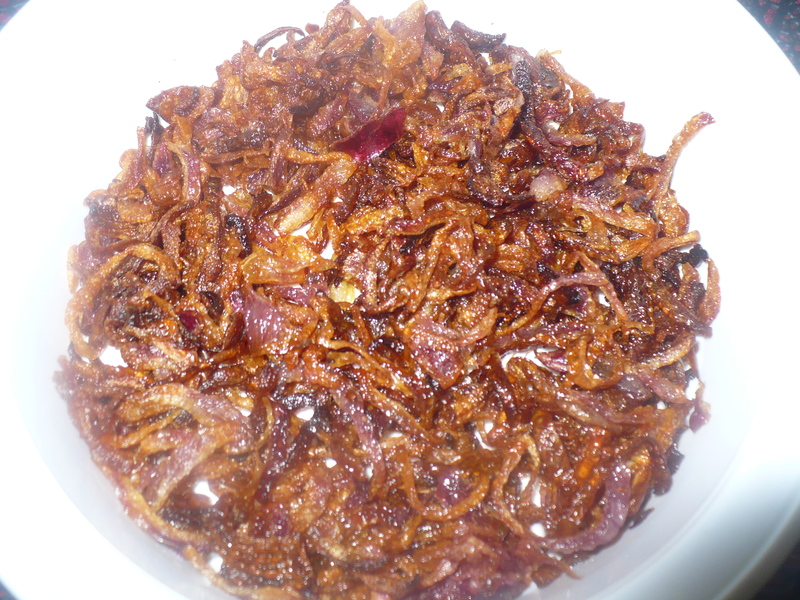 For bereshta or fried onion , the tricks are , cut the onions as thin as possible.Heat oil on medium flame . The oil should not be too hot . Once you put the onions , lower the heat and fry until crisp and golden brown. The bereshtas get darker after taking out from the oil . So take them out from the oil , one shade lighter than the color you want. 3. If you prepare the biriyani for a larger batch , just don’t double up the ingredients . Go by adding extra half . Like if 1 tea spoon is required , take 1 and half teaspoon.